August 31 – September 6 – Craig and L'Or L.
We began our week with the three R’s (rolls, registrations, and reports), two M’s (more meetings) and one big F for fun! Then the tears started as we said goodbye to our wonderful Chelsea Carthew, who is leaving this week to serve a mission in Sydney, Australia. Oh, how we will miss her, but know she will be a great missionary. 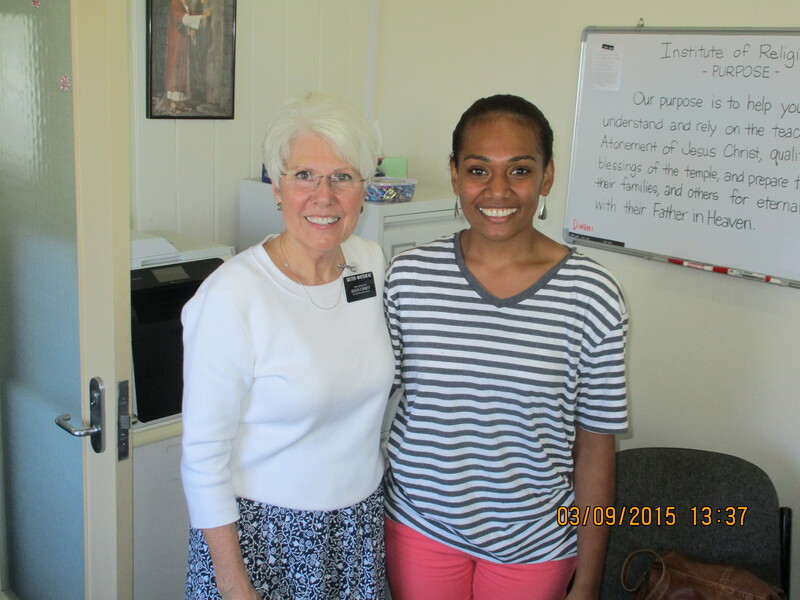 But it wasn’t all goodbyes – we also said hello to beautiful Divani Taufonga, who just returned from her mission to Fukuoka, Japan. 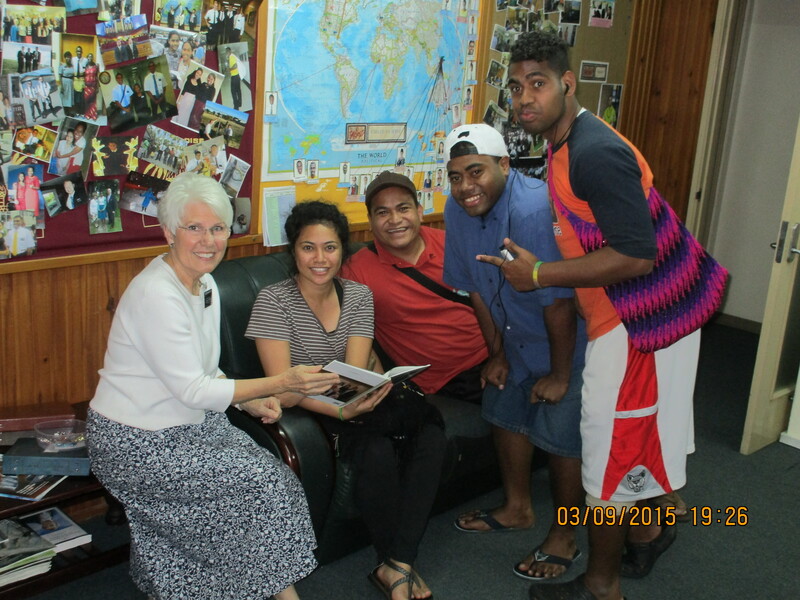 Divani made history by being the first Fijian ever called to serve in Japan. We listened to her bear her testimony in Japanese (bowing each time she used an honorific term) and witnessed her helping a Japanese sister in our ward who speaks very little English. She is amazing, and has already made the history with us, blessing our lives in just the few days we have known her. The same with Savaira. 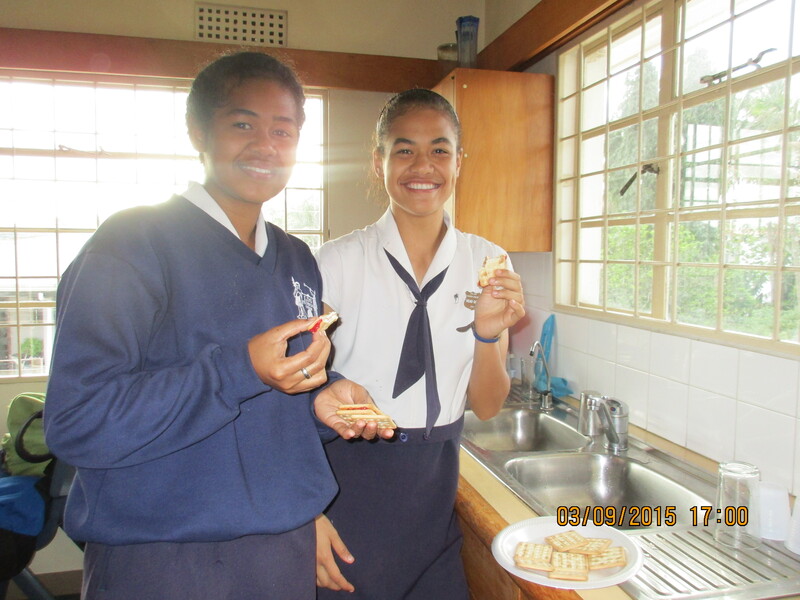 Savaira is the head girl at the LDS college (equivalent to being student body president), and has helped us multiple times – don’t know what we’d do without her. She and her younger sister came straight from school to the institute one day just starving, so before our evening class started they feasted on the bucket of biscuits (hard crackers), and peanut butter and jam we keep in the kitchen for kids who don’t get a chance to go home for dinner. At least that’s better than what they call “wind pie.” (open your mouth and eat wind when you don’t have any food). One night after class we were asked how we met and about our family, so we brought out our book of family pictures. It was hilarious to see/hear the reactions: “you mean you had dark hair?! You had hair?! We laughed so hard we cried. We laughed even harder when Delai popped in – in fact twice, he actually rolled on the floor laughing! 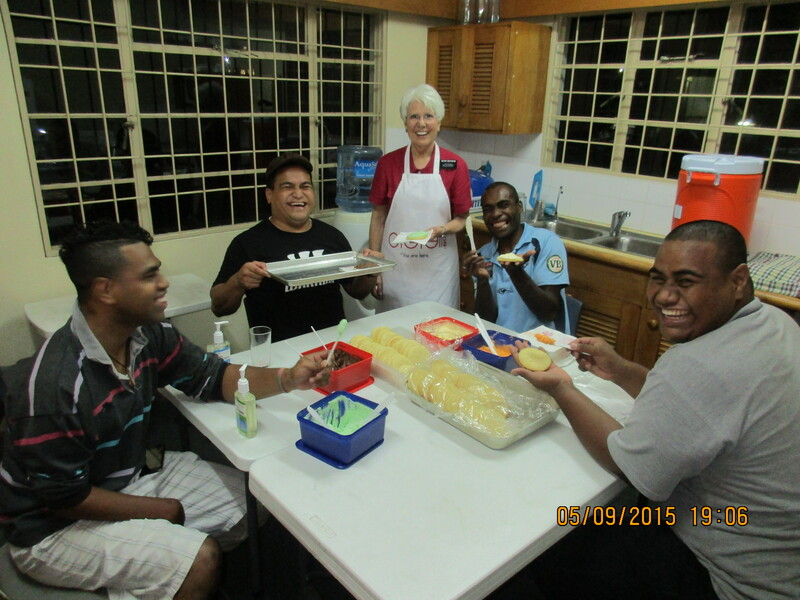 Delai, Tomasi, David and Tetika helped frost almost 200 cookies for our Sunday evening Family home evening – what great guys! 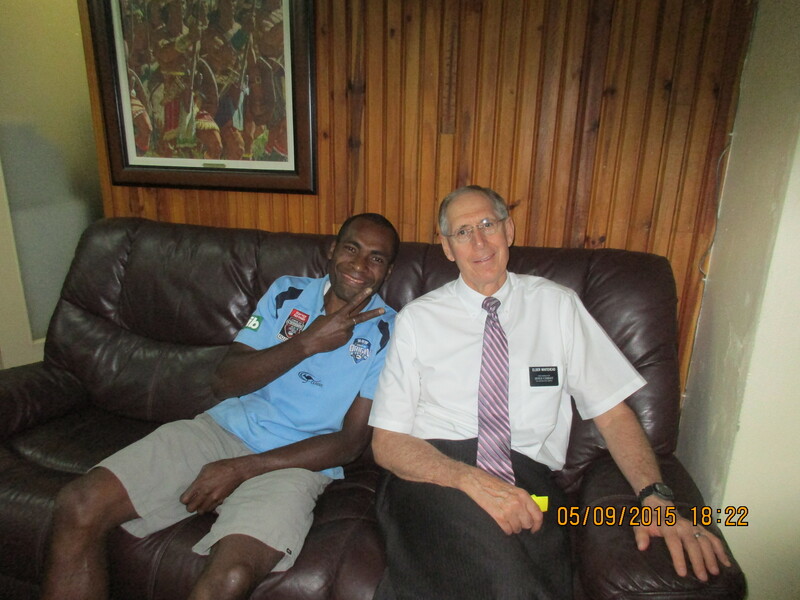 Delai and Elder Whitehead having a good laugh. 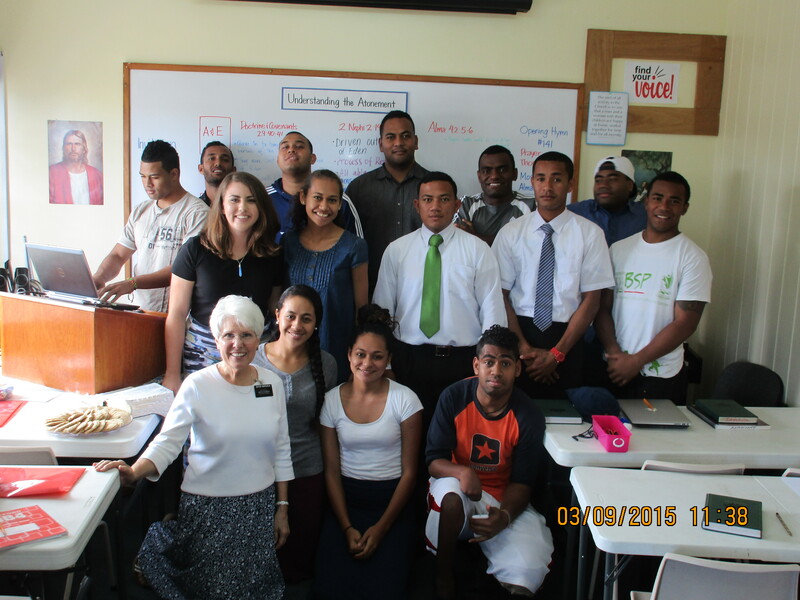 Our wonderful institute council asked six returned missionaries to talk about preparing to serve missions. They took care of everything from choosing the theme, scheduling the building and making arrangements for the music. Everyone was given a slip of paper and a pencil to write down questions when they came in for a question and answer period after the speakers, which turned out to be one of the highlights of the evening. In spite of the torrential rain, 118 attended, and it felt like heaven! Before we closed, those who had received recent mission calls were asked to stand. There were heaps — and they are going to serve all over the world. They are from everywhere, too. We heard French, Pohnpeian, and lots of Tagalog along with Fijian and English spoken last night. Once again, Craig’s ability to speak Tagalog and his experience in the Philippines were a huge blessing. We may not have had our dryer (broken for the fourth time), or water (city working on pipes) this week, but we sure had another two W’s (wonderful week).